Last week, Senior Partner Mike Taylor gave a talk and tour of the George Green Library as part of the RIBA East Midlands Great British Buildings series. The George Green Library is our latest project at Nottingham's University Park Campus, and recently won an RIBA Regional Award and the RIBA East Midlands Sustainability Award. 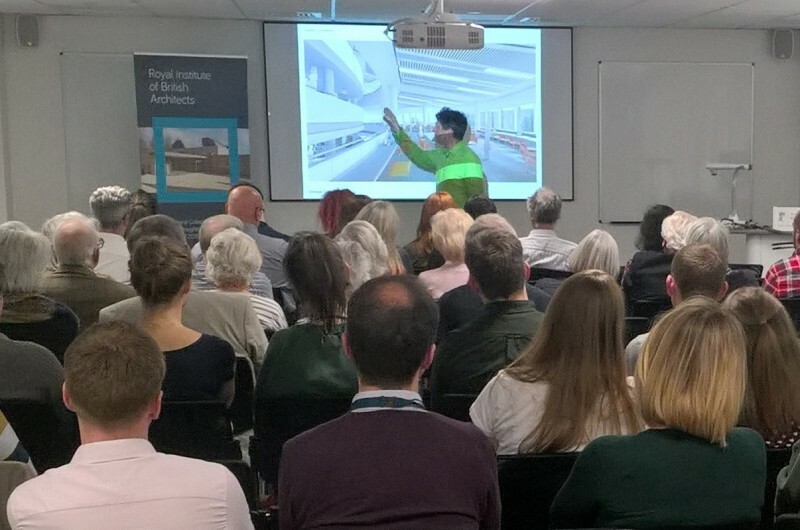 In his talk, Mike explained the thinking behind the refurbishment and extension of the existing Basil Spence building with reference to our other library and academic projects.